I used sponge daubers in bright, fun colors and a Mama Elephant sentiment stamp to create this card. The stripes on the side were pulled from my saved scrap pile. I love when I can actually make something I've already stamped work for a new project. Keep the hop moving, over to Christy's blog next. 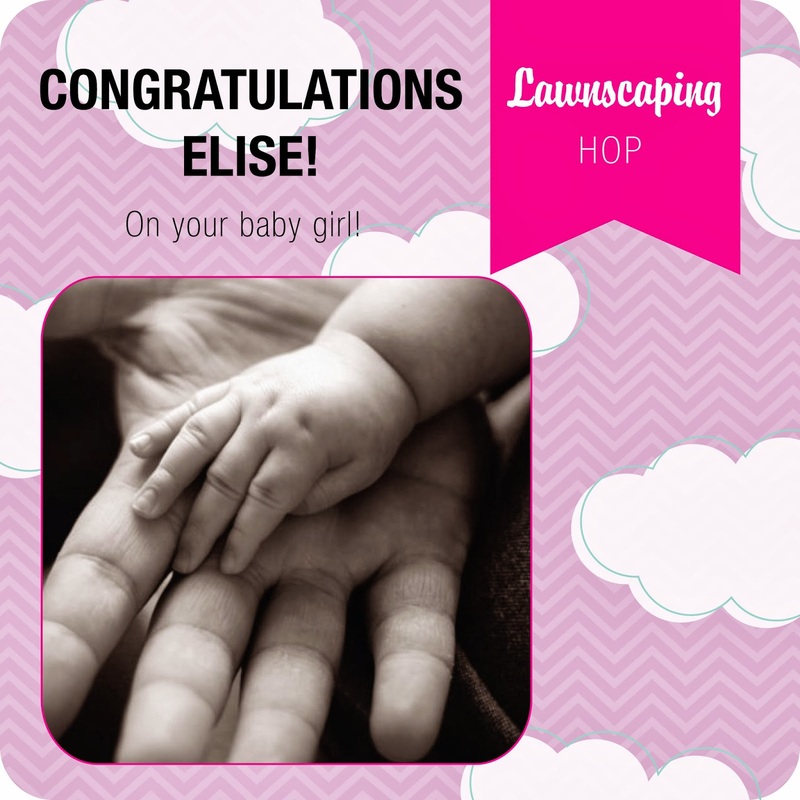 Elise, we're so happy for you! I wish you all the joy in the world, as you discover the magic of being a mama. There are some things I don't miss about the newborn stage (i like my sleep too much, and enjoy not smelling of vomit), but other things I ache to re-live: the little sucky faces they make in their sleep, when that baby smell (the good kind) wafts up and fills your heart and nose, the way the teeny tiny hands fit into yours, the expectant eyes that lock onto yours and penetrate to your soul. You may not enjoy every moment, but these things you will, and a million more. This is so wonderful! I love love love! 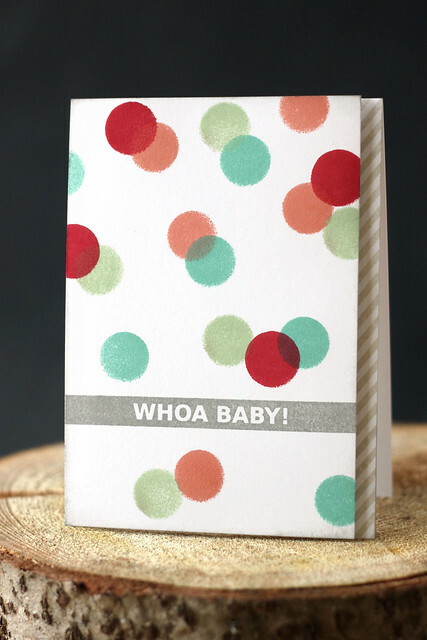 What a fun trendy card! And such sweet words for the new mama! This is so cool and wonderful, Elena! Such a bright and fun card, Elena! What a fun card, love it! !